坂野嘉彦 Yoshihiko Banno "Nakano Broadway boogie-woogie"
大胡恵 Kei Daigo "GRADATION OF NEON SIGN"
合屋正虎 Masatora Goya "灯籠流し Toro Nagashi"
平山 智 Tomo Hirayama "The Moon from Tokyo To New York "
井上一平 Ippei Inoue "New World 新世界"
橘川琢 Migaku Kitsukawa "桜の風歌 SAKURA Breeze"
松本祐一 Yuichi Matsumoto "Spam-a-lot #2. 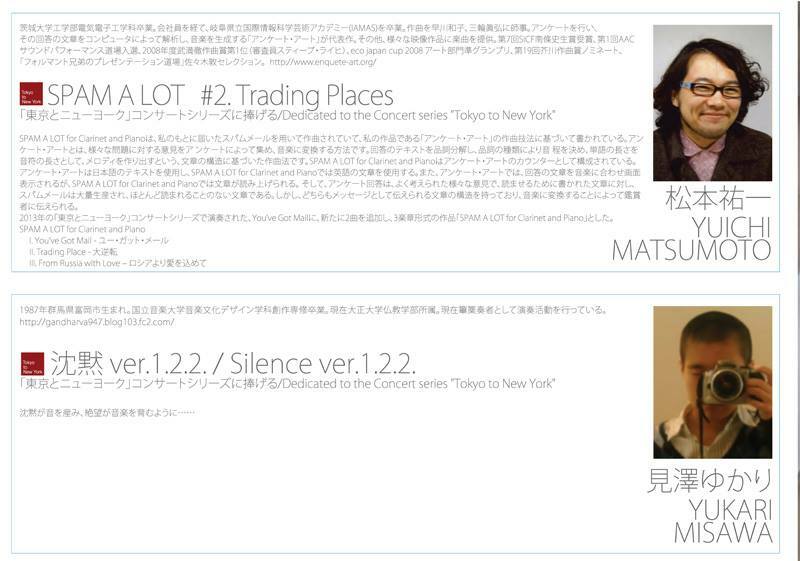 Trading Places"
見澤ゆかり Yukari Misawa " 沈黙 Silence"
中堀海都　Kaito Nakahori "Bridge 3 – New hole"
宇澤とも子 Tomoko Uzawa "堕天使の呼吸 Respiration of Fallen Angel"
山本 哲也 Tetsuya Yamamoto "Shortcut-2"
吉仲 淳 Atsushi Yoshinaka "Tango Nipponica"
"NIHON NO SHITEN - 日本の視点"
Jim Fox, Michael Frazier, Elizabeth Lim, Daniel Mihai, Nina Siniakova, Daniel Thompson, and David Wolfson. 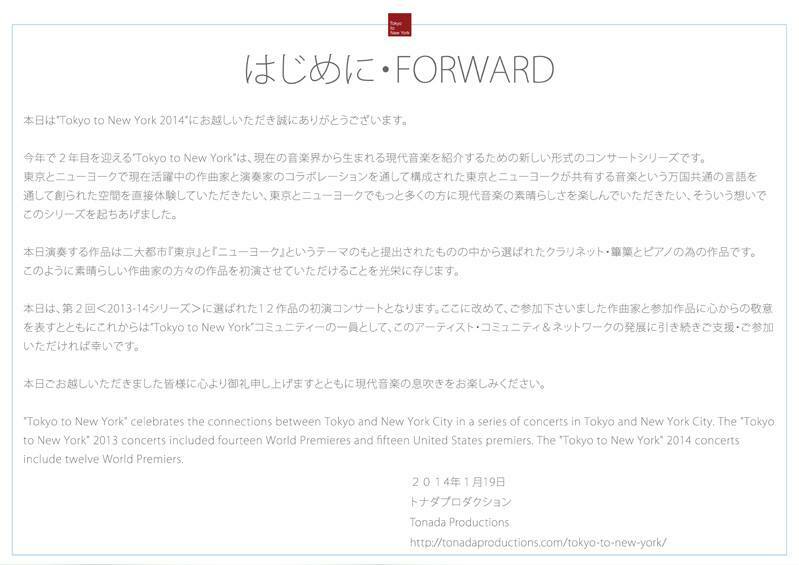 "Tokyo to New York" celebrates the connections between Tokyo and New York City in a series of concerts in Tokyo and New York City. 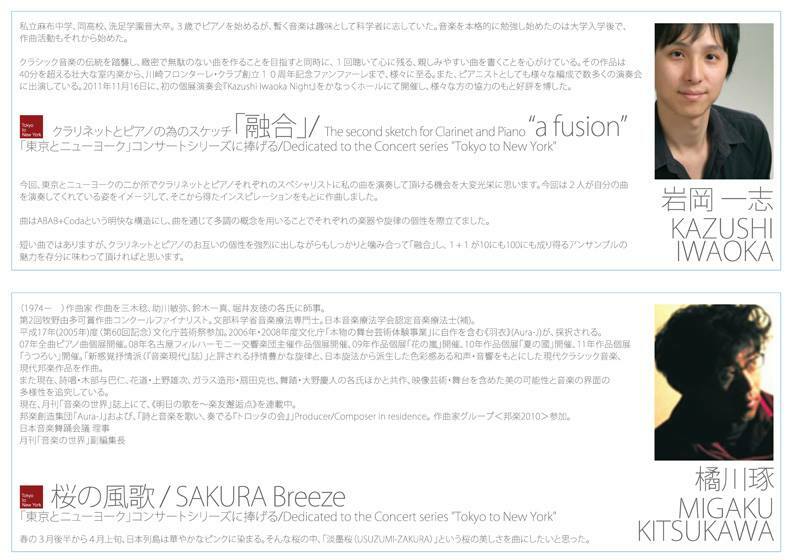 The concerts feature new works composed for clarinet, hichiriki and piano to be premiered in Tokyo and NYC. 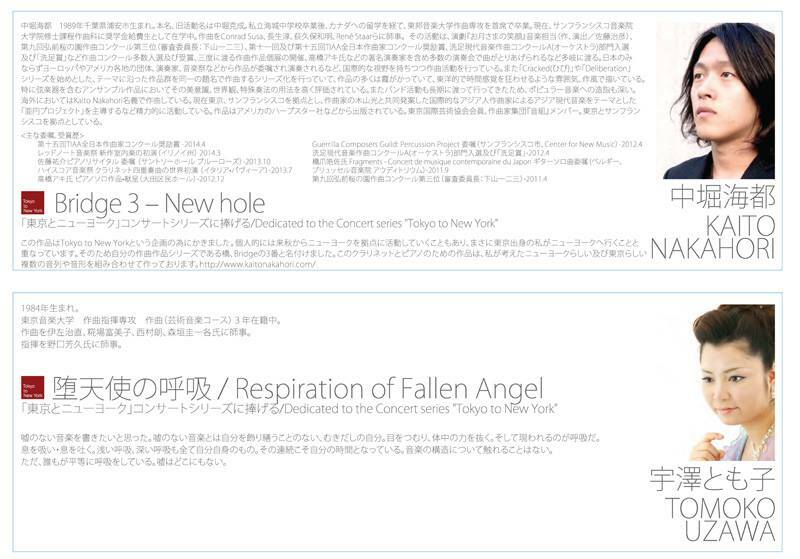 Following a 2011 call for scores for non-Japanese composers influenced or inspired by Japan ("Nihon no shiten" - "Japanese perspective"), a diverse program was selected from established and emerging composers and these pieces were premiered by Mr. Piercy in New York City in 2012. 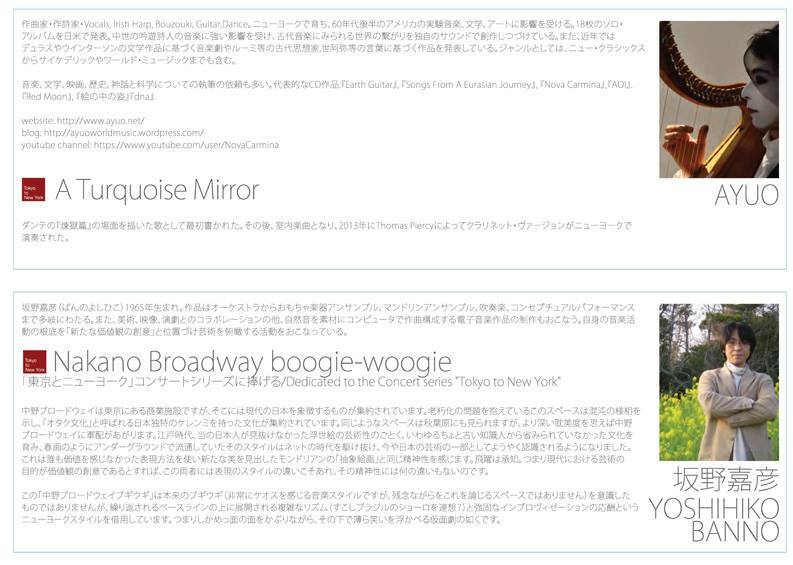 This concert was followed with a 2012 call for scores asking Tokyo-based composers to write pieces based on their thoughts about NYC. 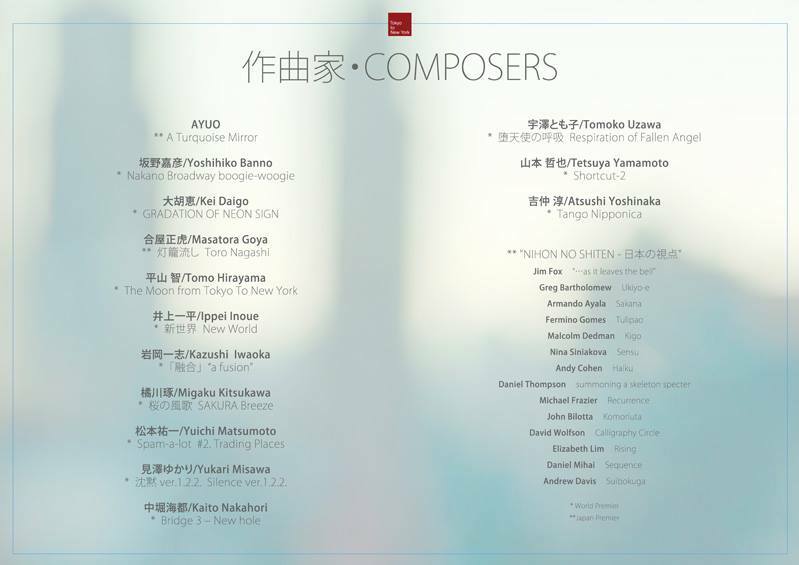 The selected compositions were given their world premiers in Tokyo in January, 2013, and their United States premiers in NYC in 2013. 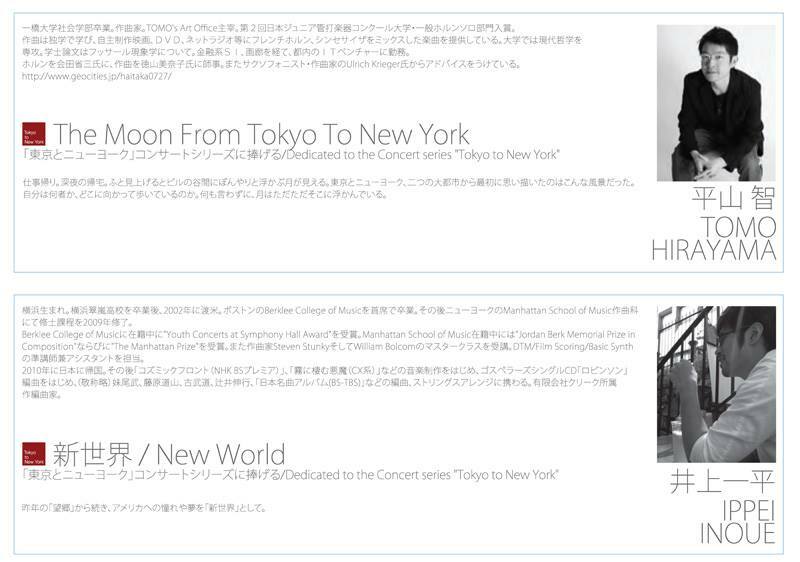 These "Tokyo to New York" concerts include a wide variety of styles of music, from Japanese avant-garde to contemporary classical, minimalism, J-pop and jazz-influenced pieces. Since 2005, Mr. Piercy has lived in both NYC and Tokyo and has had the opportunity to work with many of the Japanese and American composers programmed in these concerts. 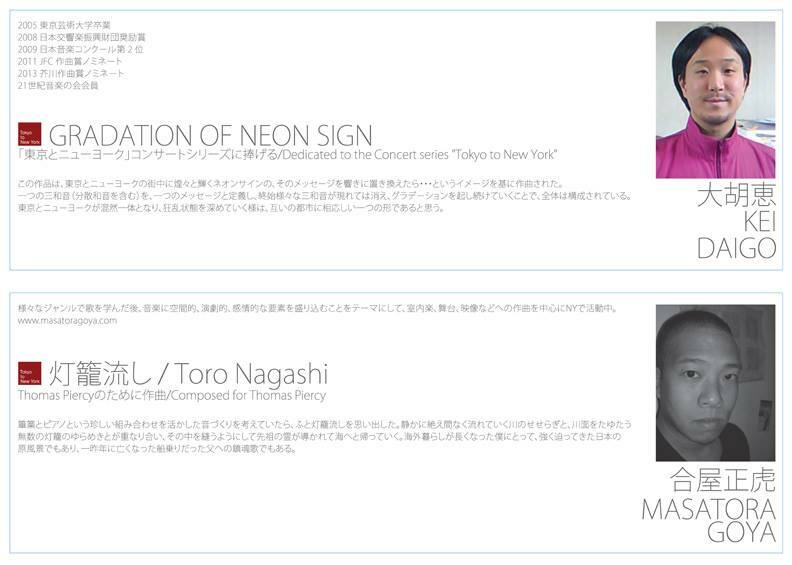 The "Tokyo to New York" 2014 concerts will include twelve World Premiers and sixteen Japan premiers. 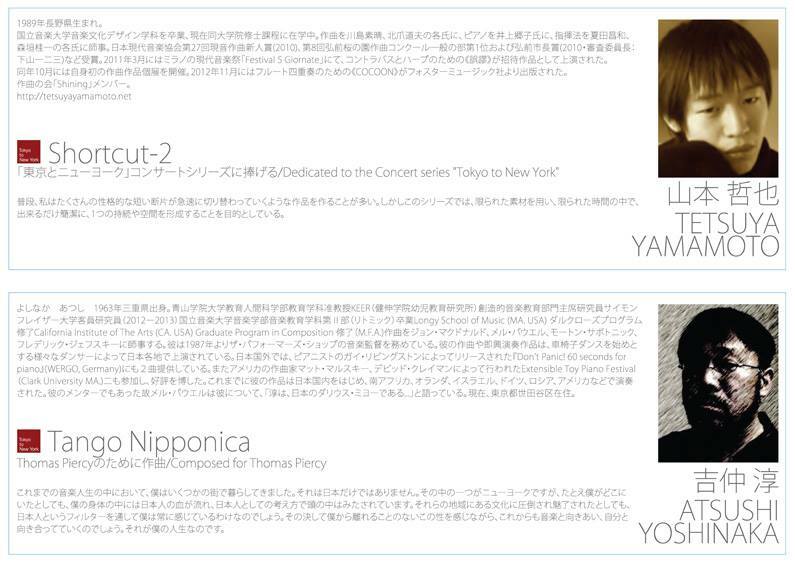 Live recordings from "TOKYO TO NEW YORK 東京 と ニューヨーク"
January 19, 2014. Tokyo, Japan. Mr. Piercy is a Rossi Clarinet and Forestone Reeds artist. Ticket price includes reception with the performers and composers immediately following the concert. 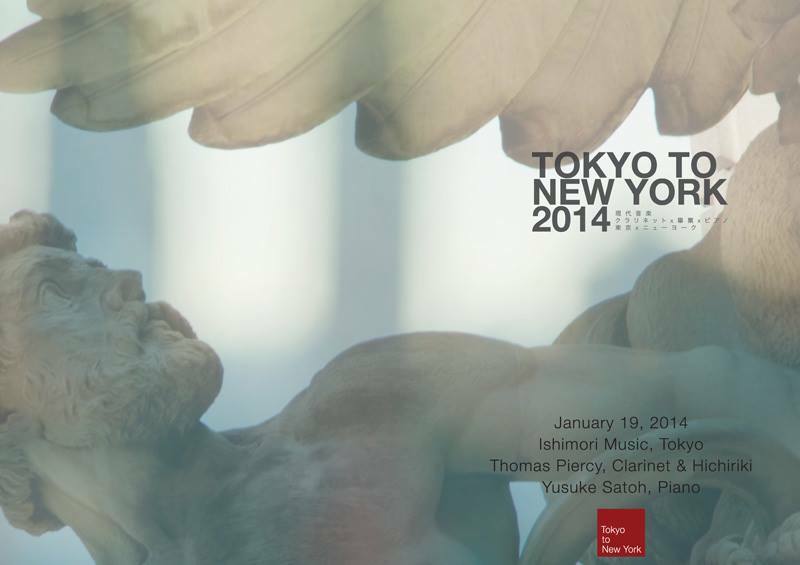 Discount tickets available for members of "Japan Clarinet Society" and "Tokyo Clarinet Choir." E-mail TonadaProductions@gmail.com for discount tickets and reservation information.